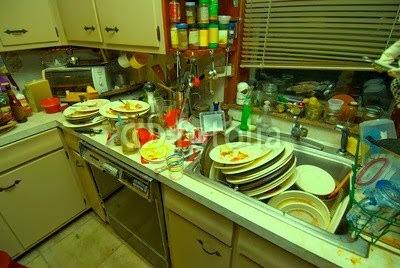 European Maid Co Blog: Too busy to clean! It's 2014... People are busy! A common problem for the professionals of today is finding the time to do normal day to day chores. Tasks like cleaning dishes, doing laundry, and cleaning the bathroom are all time consuming. Despite your good intentions, you may decide to hold off on them. Eventually, weeks go by and your bathroom has an unpleasant odor, your sink is always full, and you're struggling to find a clean shirt. If this sounds like you, then you'll be happy to know that the European Maid Company is proud to offer house cleaning to the Santa Monica and Los Angeles area! We are a full service maid service, based locally in sunny Santa Monica. Although we also offer office cleaning, vacancy cleaning, and more, our specialty has always been house cleaning. Dusty window drapes, dirty dishes, and smelly piles of clothes can all be a thing of the past. We invite you to give us a call and let us clean for you. Let us make your home a happier, more pleasant, and clean place.